It’s Father’s Day 2016 and I am thinking about a Father Extraordinaire, Don, who came into our family circle almost three decades ago. With many precious children and stepchildren of his own, and then the blessing of grandchildren, Don also just naturally and generously took an interest in other children who came into his life, and shared his kindness and interests with an expanding circle of young people, his supportiveness, his love and understanding of nature, and of our country, causing ripples of awareness and appreciation like a pebble dropped into a still pond. We are all indebted to him for his proactive goodness and gentle support over so many years. 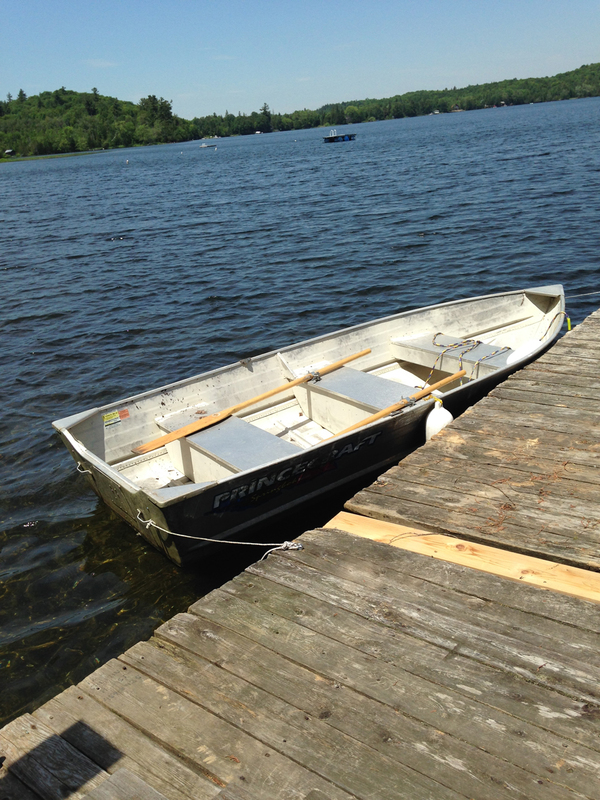 This is a photograph of a rowboat that is dear to Don, and his frequent companion on the Gatineau lake beloved by all his extended family. We salute you, Captain Don, with gratitude and love!